I’ve never seen an ant like this before. It was the size of a honeybee, but it had no wings. It was red and furry. Looks like dasymutilla occidentalis, a type of wasp. #2 Google result for “fuzzy red ant”. Thanks. I’m glad I didn’t touch it! He’s right, that’s a wasp! Don’t confuse that scary wasp with one of my Ant minions!!!!!!! You should do a Pasadena Nature blog…Gavin & Jill Davis-Doughtie-Attenborough present “Pasadena Geographic”. I can smell the incoming web traffic. 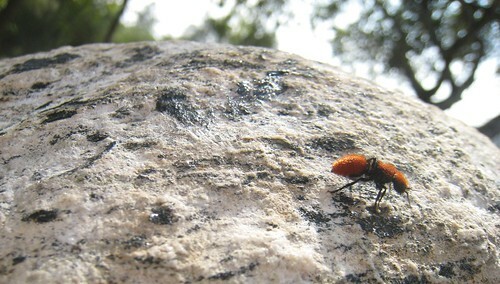 Although technically a wasp, it is more commonly known as a Velvet Ant, so I guess either name will do. 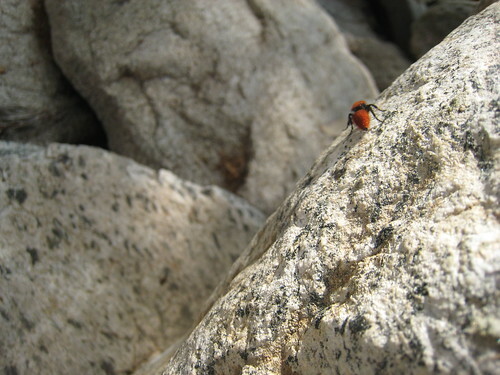 Yup, velvet ant. And ants and wasps are among the most closely related of insects, anyway. Maybe this is the result of ‘kissing cousins’..
I’ve never seen an ant like this before.. It was the size of a honeybee but it had no wings. This is what makes our little region so interesting, an occasional escapee from the underground science labs. 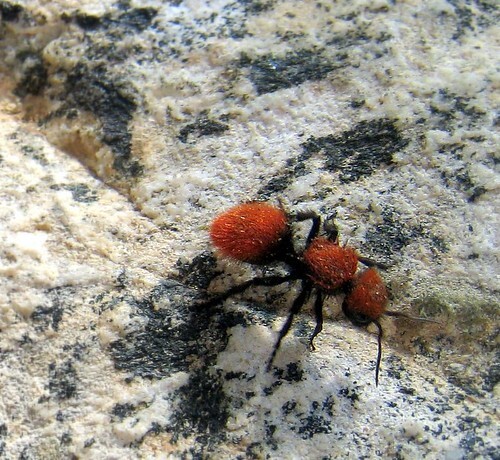 Looks like a red fuzzy ant. If its a wasp then those underground labs better bioengineer some wings for the dude! on August 25, 2007 at 9:02 am | Reply Dan Des. I have seen many of these ants were I live in eastern OK and yes there are very tough little boogers. Locals simpley call them cow ants.I don’t know where they come from or where there going but I’m very carefull not to step on them with my bare feet.